The opening moments of this video star Darin De Paul, the voice actor behind Overwatch's Reinhardt. 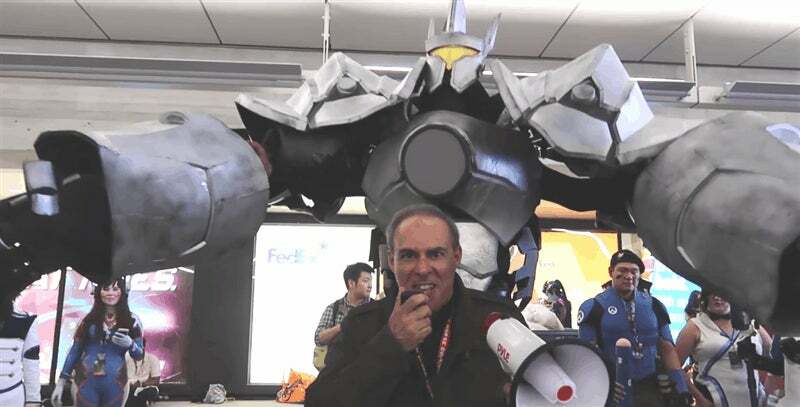 Standing in front of a giant Reinhardt cosplay outfit, screaming Reinhardt stuff. It's awesome. The cosplay is by Thomas DePetrillo of Extreme Costumes, while the video was shot by Mineralblu at the New York Comic Con earlier this month.